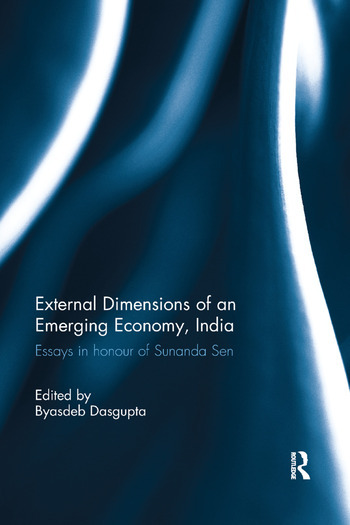 The contents of the book can be classified into as follows – (1) India’s external dimension in the colonial period through the trade route ; (2) concerns with India’s balance of payments transactions in terms of illegal flows, (3) political economy of development planning in the present era of globalisation, (4) capital flows as it affect the India’s external front, (5) Indian industries under the TRIPs regime, (6) regional economic integration of India and (7) foreign capital flows in India during the liberalisation period. Byasdeb Dasgupta is an Associate Professor at the Department of Economics of University of Kalyani at Kalyani in West Bengal, India. He is working on the issues pertaining finance, labour and development and also, on Marxist perspectives on these issues. Dr. Dasgupta obtained his M.Phil and Ph.D under the supervision of Professor Sunanda Sen from the Centre for Economic Studies and Planning of Jawaharlal Nehru University in New Delhi. Along with Professor Sen he has written a book Unfreedom and Waged Work – Labour in India’s Manufacturing Industry which was published by Sage India in 2009.